Offering affordable options for plumbers workers compensation insurance. Coverage for plumbers and general contractors is now simpler than ever. Simple Work Comp is a nationwide employee leasing broker providing workers compensation insurance for plumbers and other high risk categories. We have some of the most affordable plumbers workers compensation coverage available in your state. Protect yourself and your business with general contractors and plumbers workers compensation insurance through the Simple Work Comp. Our contractors insurance could provide you with a Business Owner’s Policy (BOP) with General Liability Insurance, Workers’ Compensation Insurance, and commercial vehicle insurance – all in one place! Reduce the hassle of dealing with multiple companies and contacts to purchase and maintain your workers comp, general liability, auto insurance and more. We know that plumbers and other general contractors face challenges obtaining affordable Workers Compensation Insurance. If you have claim losses, or if your work comp rates are high Simple Work Comp can help reduce your administrative cost and contractors insurance with our all-in-one employee leasing programs. 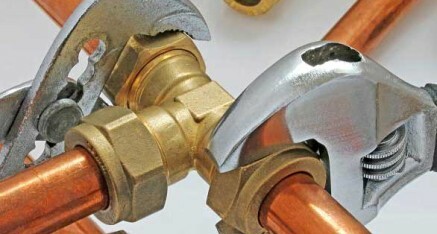 Who Needs Plumbing Workers Compensation Insurance? If you’re currently work in the plumbing trade you should carry some level of plumbers workers compensation, and general liability insurance to protect yourself and your business. Our program features EPLI Coverage, Professional HR and Payroll, OSHA Compliance, Claims Management, Employment Handbooks and much more.